Your products are in good hands with PSAP. Since our inception in 1998, we have dedicated our entire focus to providing hands-on customer service and engineering expertise to manufacturers who can’t risk the safety of their products during transport. We believe that the best shipping solution is the one that you never have to think about – that’s our job. That’s why we are equipped to handle every aspect of packaging logistics on your behalf. We manage thousands of projects per year, each one receiving the same high level of attention and expertise. 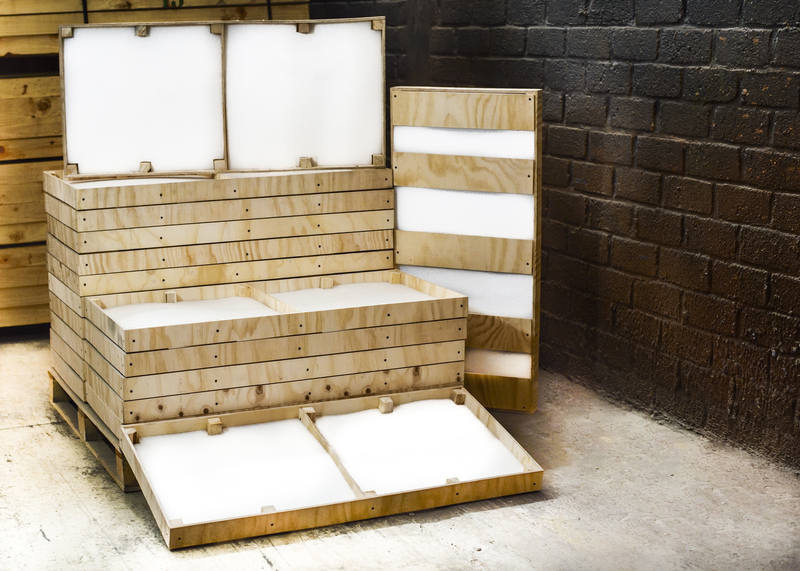 Our in-house pallet & crate manufacturing experts work alongside your team to provide sophisticated design solutions that match your exact specifications, even on tight deadlines. Our longstanding relationships with wood and other materials vendors, as well as our skilled assembly team, enable us to keep costs down without compromising quality. We then pass these savings along to you. Our decades of experience and organization-wide efficiency mean that we can provide consistent and dependable shipping services for prices that most other custom packaging companies can’t match. Whatever your project specifications, we listen. In addition to our vast inventory of in-stock woods, metals, padding and other materials, we adapt our process to meet your requirements and schedule. Contact us at any time during the design or fabrication process and we’ll make sure your shipping solution matches your needs. We don’t just manufacture crates. We provide solutions. Contact us with your shipping challenge and we’ll work with you to develop the best possible solution for your timeframe and budget. Our “open-communication” policy means that the design and manufacturing process is always a dialogue in which you have ongoing input. As the second largest shipping wood importer in Mexico, we are able to negotiate pricing with our vendors that many other custom packaging companies can’t match. In addition to price ceilings on raw materials, our skilled assembly teams have developed efficiencies that enable us to keep prices competitive without sacrificing quality. There’s a reason our longstanding clients are still with us. PSAP has continued to evolve with the changing needs of our clients and the shipping industry as a whole. It’s our policy to follow up after every delivery to check our product performance and discover areas for improvement. For us, there’s no such thing as “business as usual.” We are proactive about seeking ways for our processes to be more efficient and our products to be more effective. We share these insights to elevate the value you receive from our service.